I construct narratives, scenes and stories which point to the tensions found between the individual and communities. I utilize autobiographical threads to inform larger universal fields of experience. Gestures of alienation and displacement are both the aesthetic and subject of much of my work. I explore the way an image is inhabited, and the way that spaces and people are translated into images. Flatlands will degrade with exposure in this public setting – a process that is embraced by the artist within the context of a changing site and neighborhood. Seattle-based Rodrigo Valenzuela was this year honored with a 2014 Core Program Fellowship and Residency with the Museum of Fine Art Houston. In 2013, he received a Skowhegan residency. He holds an MFA in photomedia from The University of Washington, a BA Philosophy from The Evergreen State College, Olympia, WA, and a BFA in Photography from The University of Chile, Santiago, Chile, where he was born. 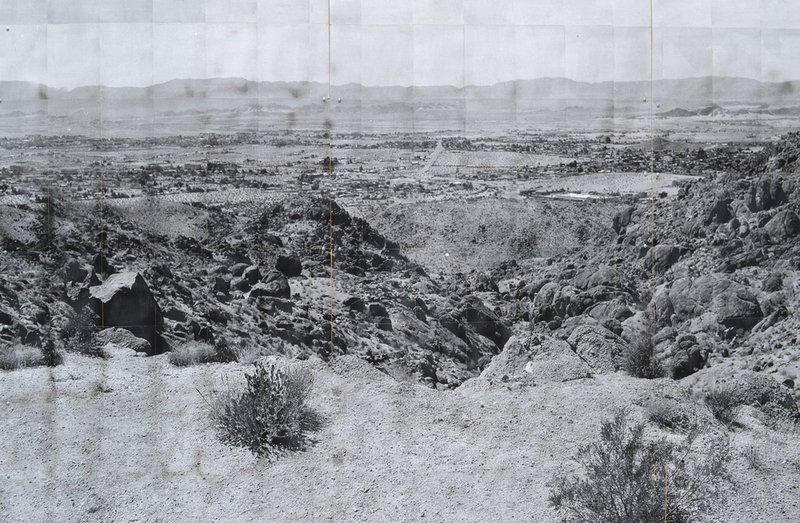 In 2013 he completed a campus-wide project for the University of California, Strangers in a Strange Land: The Coyote Project, in collaboration with Anastasia Hill. Valenzuela is represented by Bryan Ohno Gallery, Seattle, and Upfor Gallery, Portland.